Are You Covered for a Disability as a Federal Employee Outside of Work? To cut to the quick, federal employees are covered for disabilities outside of their workplace under two categories; 1) leave and 2) disability retirement. Worker’s Compensation under the Office of Worker’s Compensation Programs (OWCP) would protect income only on job related injuries. Leave, a short term solution, can be divided into two categories – paid and unpaid. Under paid annual leave, most employees are limited to 30 days. Under sick leave, employees can earn 13 days per year with no limitations. Leave share allows employees to receive donated leave from other employees if they have exhausted their own leave pay, however, this is donated time and not guaranteed. Unpaid leave without pay is an approved absence in a non-pay status granted at the employees’ request. The problem is that paid leave can run out no matter what. Under FERS, you have access to Disability Retirement. You are considered disabled if you are unable to perform “useful and efficient service” in your position because of illness or injury outside of the workplace. 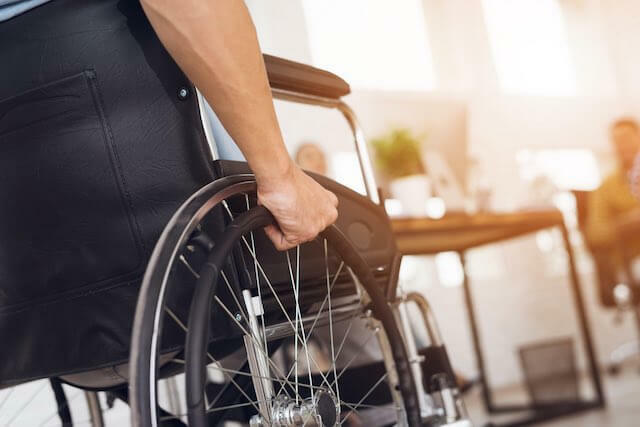 To qualify for disability retirement benefits, you must have at least 18 months of creditable service and your disabling condition must be expected to last at least 1 year. If approved for FERS Disability Retirement, you would receive 60% of your “high-3” income in the first year minus 100% of your Social security benefit for any month in which you are entitled to Social Security benefits, and from the second year on you would receive 40% of your “high-3” income minus 60% of your Social Security benefit for any month in which you are entitled to Social Security disability benefits if you are under the age of 62. Additional details are available on the OPM website. However, because this is part of FERS, the income is not only taxable but it does not come with Cost of Living Adjustments (COLA). A Federal Employee may not be able to sustain a similar standard of living or even close to it. For the female part of the workforce, these employees are often concerned about missing income during a pregnancy or maternity. For them, this is not a matter of “if” but “when” income will be missing with an additional concern about complications of pregnancy. There has been talk of the Fed approving a parental leave program but the proposal would be for the mother-to-be to use income taken away from their FERS pension thus potentially eroding an already uncertain direction of the FERS pension plan. Even this remains to be seen. TSP hardship withdrawals may seem to be a source for badly needed income but withdrawals can severely derail a desired retirement date. The solution? Employees should consider purchasing Short Term Disability (STD) and/or Long Term Disability (LTD) on their own. It may seem, however, that it is sometimes hard to find especially at an affordable cost. There is an affordable solution through a new group disability program. Group disability, like in the private sector, tends to be less costly than individual disability programs. They are also less invasive with simple enrollments and no physical exams or tax returns needing to be provided. This kind of benefit is now available for Federal employees. An income is everything you have. The Council for Disability Awareness has stated, “More than 1 in 4 of today’s 20 year-olds will become disabled before they will retire” (February 2016). Be proactive and protect your most valuable asset…you! David Quiett has been working with Federal employees on their benefits, retirement and insurance since 1991. He currently resides near Los Angeles, California. You may reach him on LinkedIn. © 2019 David Quiett. All rights reserved. This article may not be reproduced without express written consent from David Quiett.